X2Go enables users to access a graphical desktop over low or high bandwidth connections. 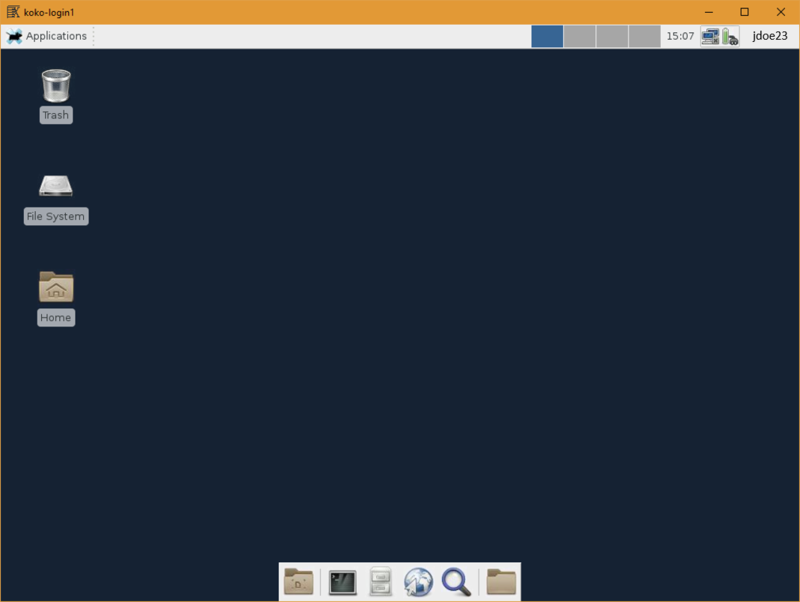 It provides a remote desktop solution tunneled over SSH supporting file and printer sharing. 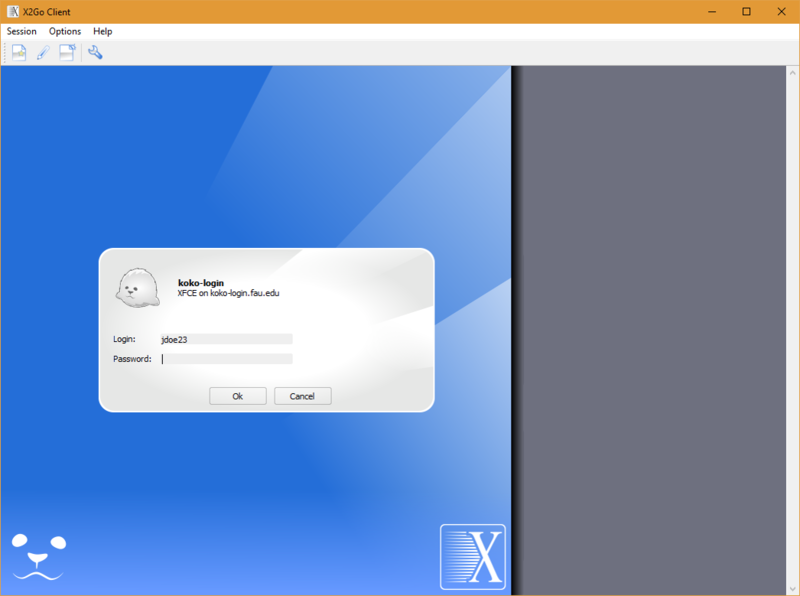 We recommend that users install the latest version of X2Go by downloading it from x2go.org. The latest version should be installed. Windows: Installation requires administrator permissions and some users have experienced issues with some Anti Virus software. 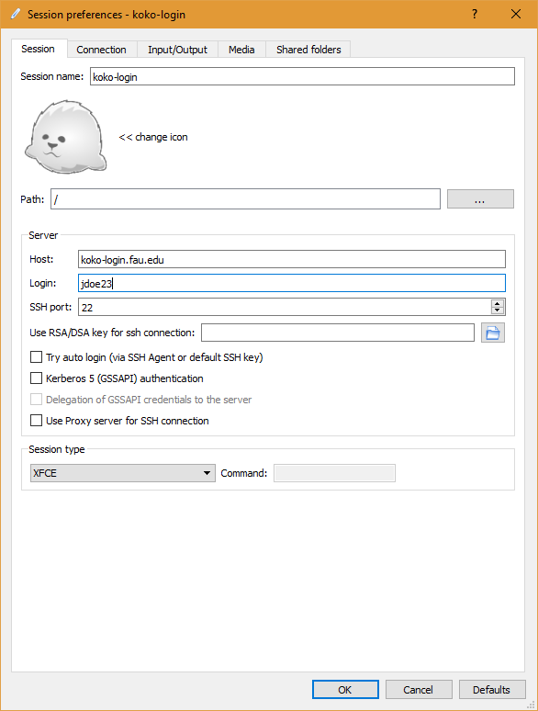 Start the X2Client software and click the New Session button as shown. Click the connection to start it. Enjoy the remote desktop connectivity. 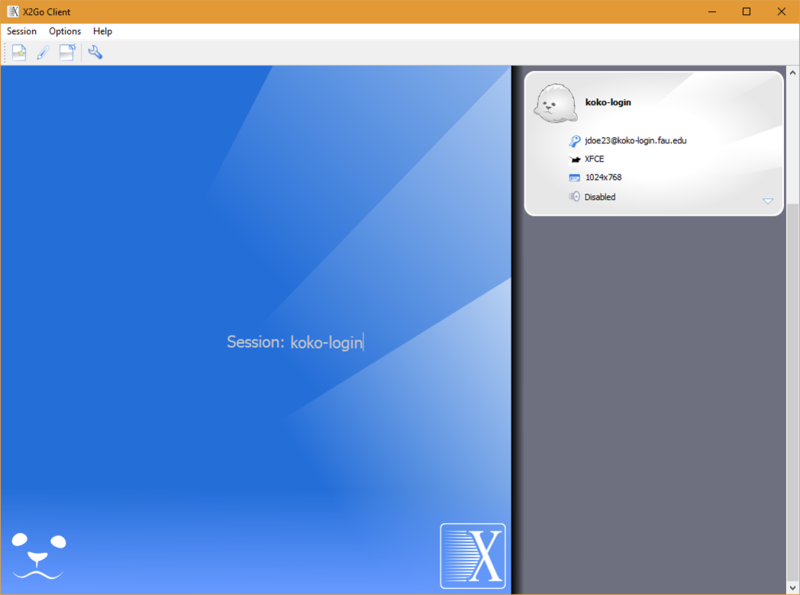 You can configure your X2GO session to login to Koko without prompting you for your password by using a pair of keys. The instructions on how to set this up can be found here. 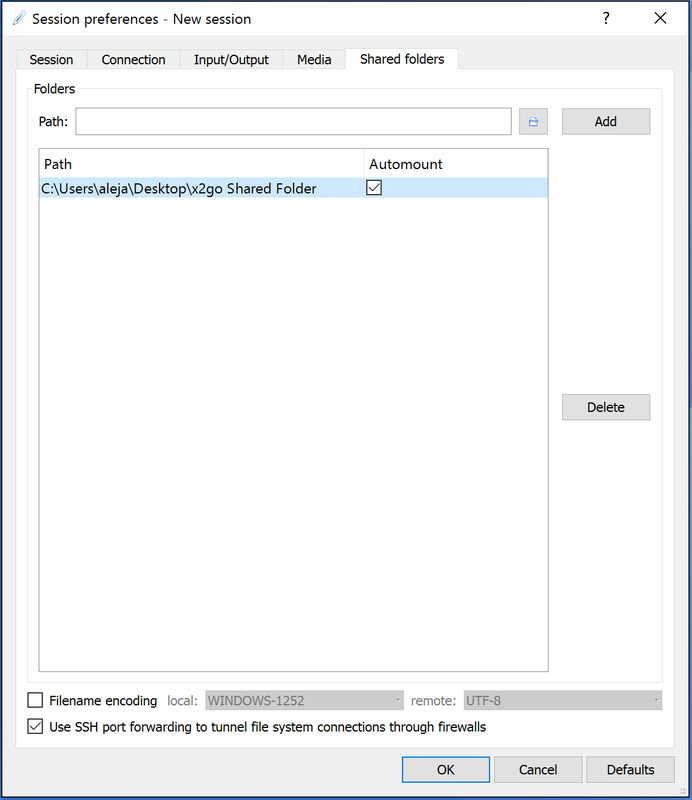 File sharing from Windows to X2Go. 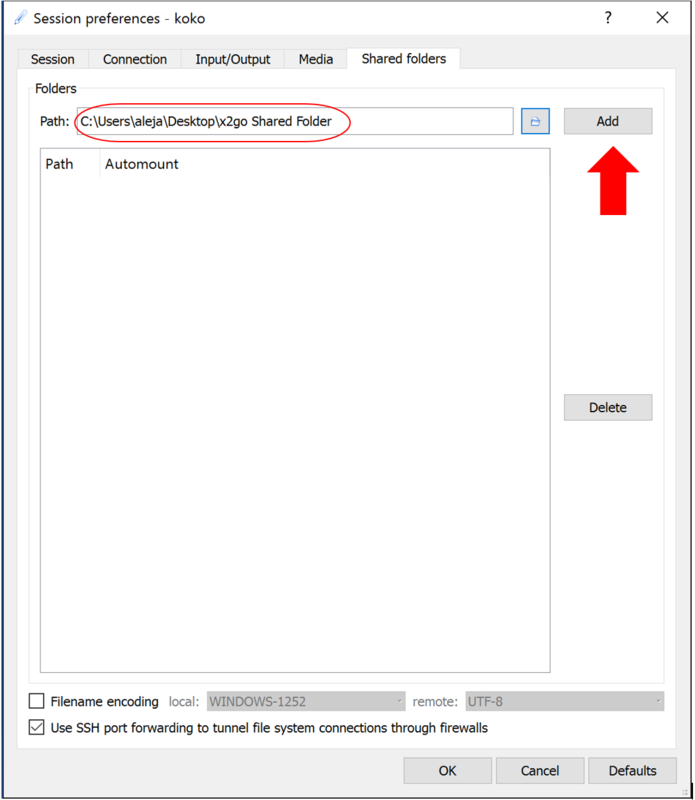 In your Session preferences window, click on the Shared folders tab on the right. Click the folder icon to search for the folder you wish to share. Once it is in the Path: section, click Add on the right. 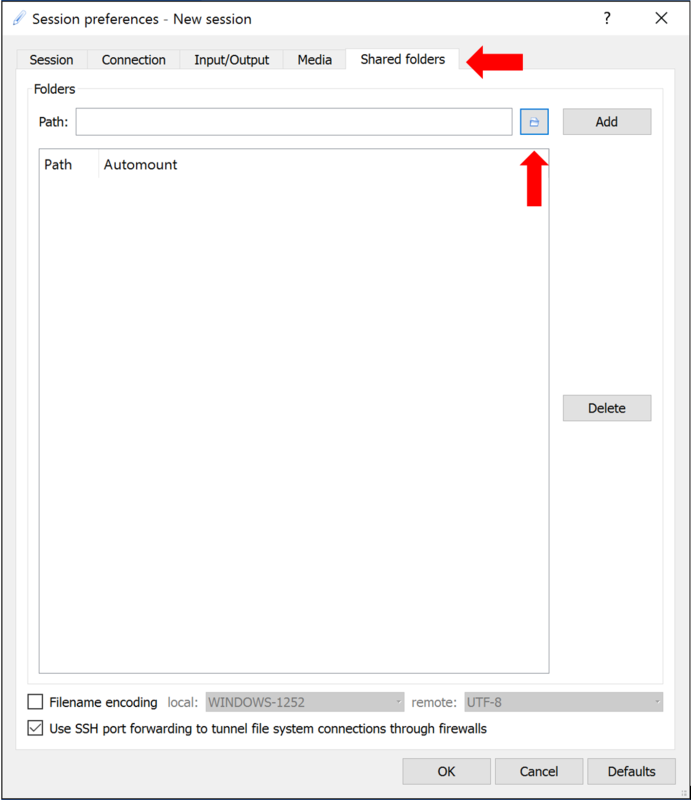 Once the folder is displayed, check the Automount box. Your final Shared folders tab should look similar to this. Press OK and start your session. 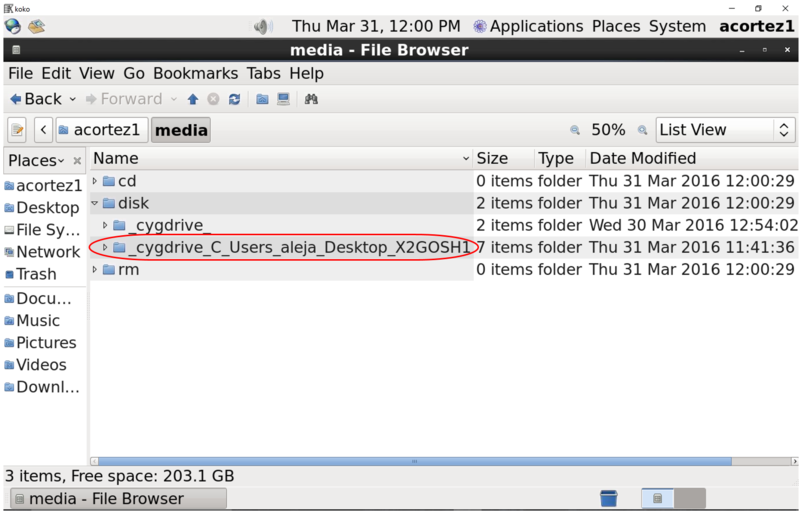 You should be able to find your shared folder in your home directory> media>disk.